This month was the first full month with the boys back at school, but we’ve also spent most of the week running around between soccer practices on Monday, Tuesday, Thursday and Friday, soccer games on Friday and Saturday, and piano lessons on Wednesday. There were even a few Sunday birthday parties and skating parties in there giving us three straight weeks of non-stop action. Throw on top of that that I was having asthma issues for two weeks of this month, I can honestly say our budget looks better than I thought it would. The majority of our bill is for internet service. One of my goals for for remainder of the year is to look into other internet providers for us, to see if we can get this bill any lower. The payments on this are reoccurring bills whose payments are made online, that we don’t feel safe enough leaving our bank information in their account records. This month’s is a little lower because we’ve paid on pending charges the last few months as well that have finally caught up. This is our current snowball, although it hasn’t felt like it. Soccer ends next month, and I’m already plotting how we can get this amount down so I can reach my goal of slashing this in half by the end of the year. Another high bill with the heat we’ve had this summer. Good news is we’ve closed up the pool, the air conditioners are finally out, and I’m ready for some cooler weather and lower electric bills! Our insurance payment includes the car, house, and five life insurance policies. Bookworm’s piano lessons are a generous gift from my mother-in-law. Our monthly, weekend only subscription. I feel that I had a better handle on our grocery bill this month, even though I was sick for a few weeks, and our total shows it. I try to aim for $500-$600 per month, depending on how many weeks and what all we have in our pantry, and this is pretty spot on. This month I bought Hubs razors and some lavender essential oil as our household items this month. During months where I’m not driving an awful lot, like when school is in full swing and we’re just going through the usual schedule, I spend around $70-$80 a month on fuel, depending on the price per gallon in our area. With soccer practice, Friday and Saturday games, piano lessons, and multiple doctor’s visits for my asthma this month, I spent a lot more time in the car than I did in the house. We got some more fuel for our lawnmower at the beginning of the month. Now that it’s getting cooler, it doesn’t need mowed as often. Since our rabbit is outdoors for the summer, she doesn’t go through as many pellets and hay as she does when she’s indoors in the winter. Next month we move her back indoors, and she will need a new litter pan, some hay and some pellets. Only $30 of this was anticipated and planned for. I had promised the kids that if they had good checkups while at the dentist this month, I would take them to Moe’s for lunch. Well, they all got wonderful reviews on their brushing habits and lack of buildup from the dentist, and so we went to Moe’s. But with being sick earlier this month, I had spent two days between different doctor’s offices and the Emergency Room. I was not prepared for my diagnosis to take that long, so I didn’t pack any lunches for Lady Bug or I, nor did I make it a priority to have dinner started before leaving. 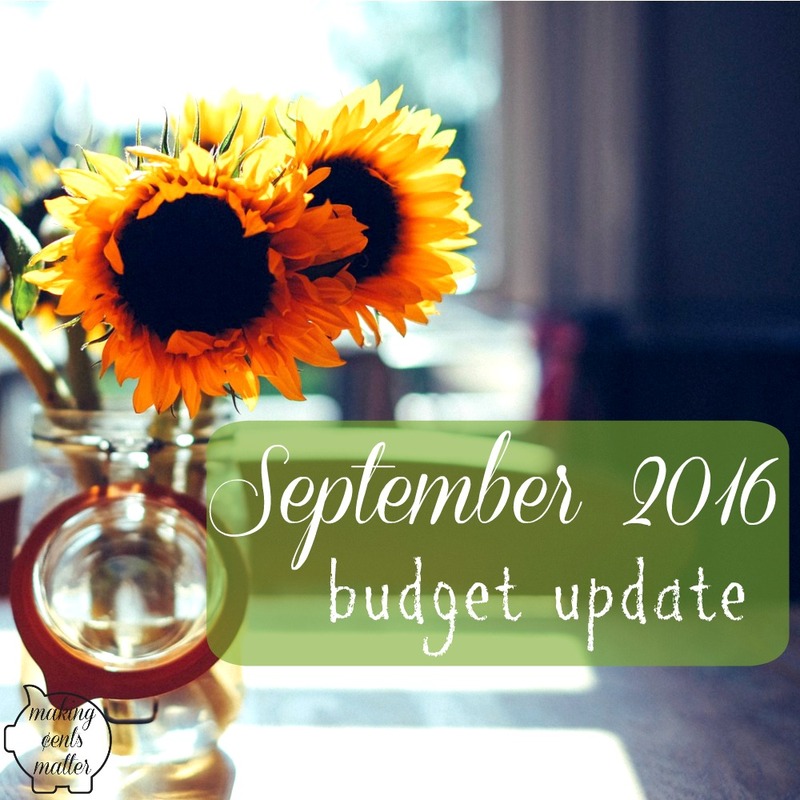 Expenses this month for school include some supplies for Bookworm. As a mom, I love to know what my kids need for school so that I can plan accordingly. I also like to know in advance what supplies their classrooms would prefer to have donated. As a teacher, I love to let my students know what they may need so that their parents can plan accordingly, and what we may need as donations throughout the year. This is not the case with all teachers in our district, who prefer to stress donations and then sprinkle in required supplies throughout the first month or two of school. Trying to find specific items when Target is already cleared out is a real hoot I tell ya! This month Bookworm was required to get a lyre and flip folder for his trumpet so that he can participate in some parades and football shows. Now the trouble is finding time in his soccer and piano schedule to participate in such happenings. This month Lady Bug was responsible for team snack at one of her games, so we grabbed individual trays of carrots and ranch dip for simplicity and convenience on the sidelines of a soccer field. 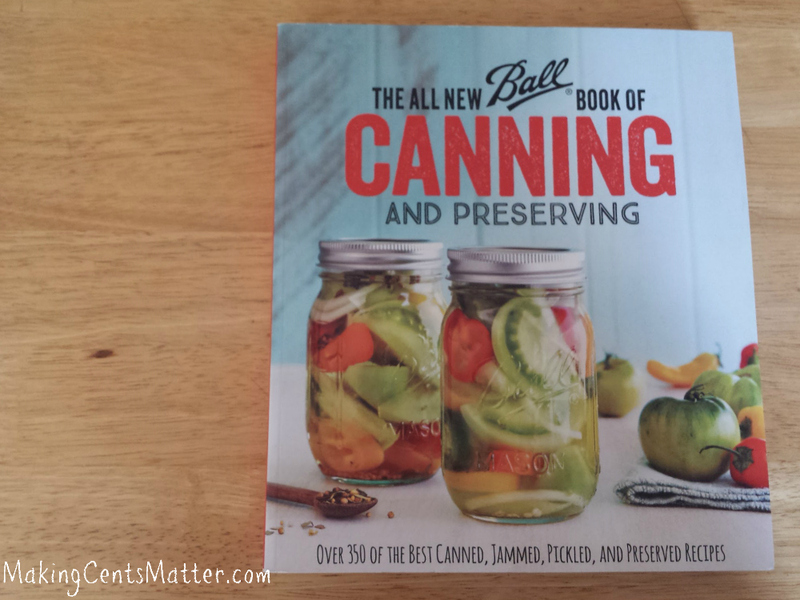 Part of my fun money for the month went towards a book with new canning recipes. I do enjoy canning, and while canning single ingredients does help our budget immensely, this book is filled with some more advanced canning recipes as well as some recipes that utelize what was canned. Every week I put money aside into this account, and on months with an extra paycheck, I put even more into this account. 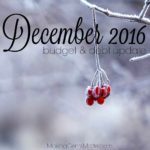 To read more on how much we try to put aside and what we use it for, you can check out this post. Our trash is picked up every other week, and we’re billed quarterly based on the number of bags we have throughout the quarter. We very rarely will go through more than one 33 gallon bag a week, making two bags of trash that we have picked up every two weeks. This bill is what we owe based on the number of bags we used between June and August. Some of the clothing expense this month went towards some fall pieces for myself, base layer clothing for the kids during soccer in the cooler weather, and some pieces for school for the boys. Earlier in the month I had caught a cold that turned into asthmatic stasis. 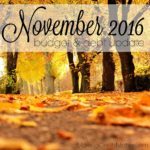 I had gotten so caught up between keeping up with the garden, canning, soccer and school schedules, that I neglected to put myself first. A big no-no. This is the cost of the prescriptions to help me breathe again; I won’t know what I owe the offices until I get the EOBs in a few weeks. The kids and I had our 6 month dental checkup this month. This is our out of pocket portion for our visit. Hubs goes next month. I also add money to our gifting account each week. 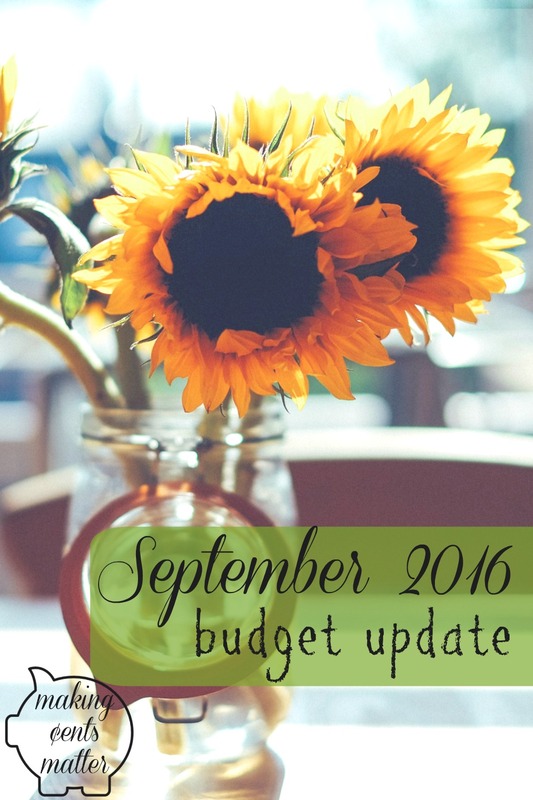 It helps us to stay on budget each month and still have funds available for when birthdays and holidays come up. Monkey was invited to a birthday party at a skating park earlier this month, and this is what we spent on the present, gift bag, and cash for the skate rentals. Since this was the first month we were back into our school schedule, and the first full month we had with soccer activities, I didn’t know how much I would be spending on fuel to get to and from town. Or even on food after our astonishing grocery bill in the summer. Rather than designating a set amount each week for this like I usually do, I let it go. 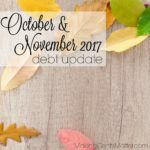 Rather than paying into it at the end of the month, I rolled over any extra we had at the end of the month into increasing our Emergency Fund. Our car will need some repairs in the future, and I wanted to have a little more in our emergency fund in case both repairs needed done at the same time. 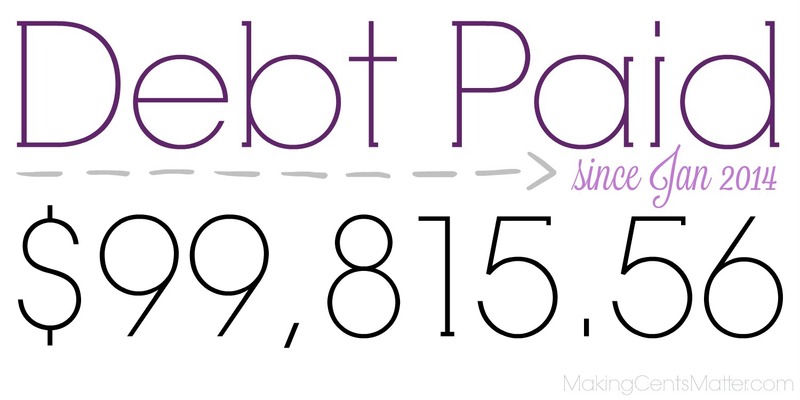 After paying off some debts earlier in the year, we are down to our mortgage, two student loans, and one credit card. 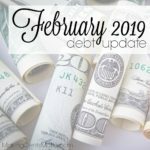 Since we started getting serious about our repayment at the beginning of 2014, we have paid off 3 credit cards, a small student loan, and our car. We have also ended our payment plan on Bookworm’s orthodontic work, as well as ended our lease on his band instrument. We have come a long way, and we still have a long way to go. This is our current snowball. After increasing our emergency fund a bit, this will be back into snowball next month. Well… there you have it. 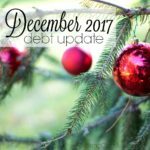 A complete rundown of how our budget and debt repayment went throughout the month. 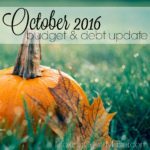 How did your September 2016 budget and debt repayment go? 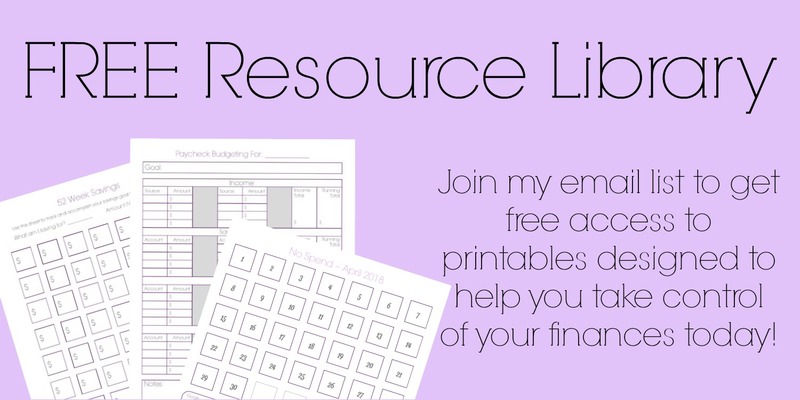 Want access to our resource library? 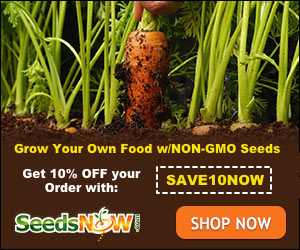 Sign up for our free email list! I love it when you share our content! Please keep in mind that all content, images and text on this site are property of Making Cents Matter. Feel free to use no more than two photos on your own site, provided that a link back to my original post is included. Do not crop, edit, or remove any watermarks from any of my images without obtaining written permission from me first. Thank you!